Dubai, United Arab Emirates, 13 April 2019: DP World UAE Region will showcase its latest range of offerings for the petrochemicals and chemicals sector at the 11th Gulf Petrochemical and Chemical Association (GPCA) trade show that will be held from 15-17 April 2019 in Dubai. The company will highlight new door-to-door logistics solutions that cover the full breadth of the supply chain and support customers every step of the way. 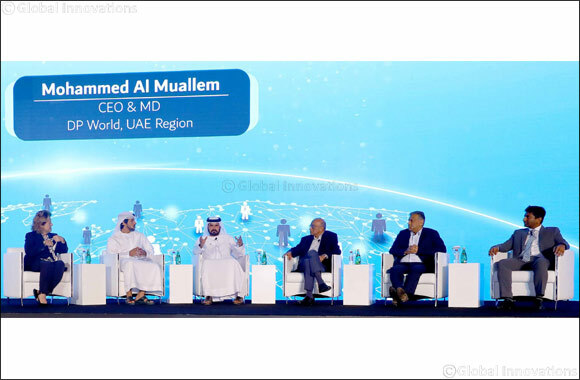 These solutions are based on generating and leveraging synergies from integrating the activities of its numerous businesses –including Jebel Ali Port, Jebel Ali Free Zone, Dubai Trade, and many others – and creating one of the most efficient and robust supply chains in the GCC. The International Energy Agency has reported that global chemical consumption is expected to grow by almost 60% between 2018-2050, with GCC accounting for 12% of all high-value chemicals. Through the ecosystem created between Jebel Ali Port and Jafza, DP World UAE Region offers customised solutions for its clients. These include a wide range of port solutions, port-centric logistics and value-added services such as warehousing (DG, Non-DG), ISO Tank storage, cargo mode conversion, transport management, order fulfilment, chemical blending, picking, bagging & drumming, tank cleaning and repair, and freight forwarding, among others. Jebel Ali Port and Free Zone together contribute 33.4% of Dubai’s GDP and 14.9% to UAE’s non-oil GDP, and its global portfolio offers customers integrated solutions with 78 marine terminals and 9 logistics parks. DP World UAE Region is one of the leading hubs for the petrochemicals and chemicals sector in the Middle East. Jebel Ali Port handles over 65 per cent of the GCC’s exports in this segment, with connections to 140 ports with over 80 weekly services offered. Total trade at the port rose by six per cent in 2017. Jebel Ali Free Zone (Jafza) is home to nearly 500 petrochemical companies that employ over 6,500 people.